"Sampath Speaking" - the thoughts of an Insurer from Thiruvallikkeni: TN may get to eat MGR rice in another 6 months !! Do you know what is - Oryza sativa ? and its uses ?? Have you heard of Ellen Wood, an English novelist better known as Mrs Henry Wood ??? Oryza sativa is the plant species most commonly referred to in English as rice. Oryza sativa is a grass with a genome consisting of 430Mb across 12 chromosomes. It is renowned for being easy to genetically modify, and is a model organism for cereal biology. Rice is grown in more than a hundred countries – of which 90% of production of the world is grown in Asia. Whether you know rice varieties or not, MGR would need no introduction. Often it is said that almost 3 decades since death, still there are some villagers who tend to believe that he is still alive. He was very popular as a cine artiste and later becoming the Chief Minister of Tamil Nadu. Popularly called MGR, MG Ramachandran starred in numerous commercially successful films from the 1950s to the early 1970s, carefully building up an image from tinseldom. In his movies, he would not smoke or drink is a great plus point and he would help poor in later day films. MGR made his debut in Ellis R. Dungan's 1936 film Sathi Leelavathi, where he played a police inspector. Rajakumari (1947) where he played a villager who marries a princess perhaps turned his career. He then steered his way with characters fighting injustice meted out to the poor such as an outlaw in Malaikkallan (1954), and Nadodi Mannan (1958). He endeared himself to masses and was conferred Bharat Ratna too. His birth centenary is being celebrated. TN Chief minister Edappadi K Palaniswami recently released a new rice variety 'MGR 100', developed by the Tamil Nadu Agriculture University (TNAU). The new variety which is the rechristened nomenclature of CO 52, would give high yield, superior grain quality and pest and disease resistance, officials said. This new variety was on the sequel of TNAU's first hybrid rice, MGR (COR H1) released in 1994. This new variety would be a good alternate for BPT 5204. Over a period of six years, trials were conducted and cultivated in 158 locations in 21 districts. Yields crossed 7,000 kg per hectare in 24 locations, a senior official from Aduthurai Rice Research Institute said. The trials were conducted again till the year 2016 in 36 locations across the state. According to officials, the rice would mature in 130 to 135 days. Having medium tall in stature, the variety would be long droopy panicles with highly acceptable plant characters. The variety was recommended for large-scale demonstration based on its high yield, by the university. Now, the university awaits the gazetting of the variety by the Central seed subcommittee for variety release and notification. Naming rice varieties after CMs is nothing new. In 1970, it brought out Karuna (CO 33) by crossing IR 8 and ADT 27 which was a short duration paddy variety, while in 1993 it had come out with JJ 92 (ADT 41) that is a white aromatic rice and a mutant of Basmati. Incidentally, all these varieties named after leaders are not used for cultivation now. It is stated that GR 100, yet another medium duration, high-yielding fine variety of rice, released by the Tamil Nadu Agricultural University (TNAU) to mark the centenary of the late chief minister and AIADMK founder M G Ramachandran a couple of days ago, is already under cultivation and will be ready for consumption in five or six months. “Since this paddy variety is meant for the second season (samba and thaladi), we have already distributed five tons of ‘truthfully labelled seeds’ to the farmers. So, this will be harvested in five months and starting from April, we will distribute the officially certified seeds to the farmers. 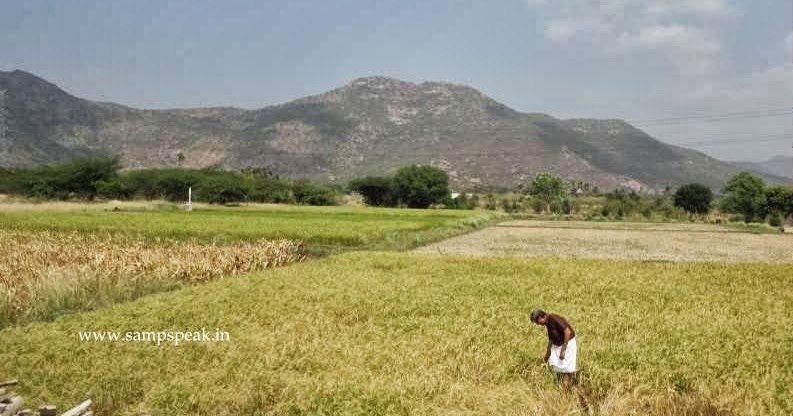 So, MGR 100 rice will be ready for consumption by that time,” K Ganesamurthy, director-in-charge, Centre for Plant Breeding and Genetics, TNAU, told Express. We mostly buy ‘Ponni raw rice’. Ponni is a variety developed by Tamil Nadu Agricultural University in 1986. It is widely cultivated in Tamil Nadu a state in India, and is a hybrid variety of Taichung65 and Myang Ebos 6080/2. The variety is named after the famed river Kaveri is also called 'Ponni' in Tamil literature. The variety is rich in calories with up to 5 kcal per particle of rice. Tailpiece : Sathi Leelavathi (Leelavathi, the wife) directed by Ellis R. Dungan and produced by the Coimbatore based Manorama Films was released in 1936. It was debut film for M. G. Ramachandran as actor and Dungan as director. The film became subject of a court case involving copyright violations and perhaps was the first tamil film this way. No print of the film is known to survive, making it a lost film. Its release was delayed as ‘Pathi Bhakthi’ starring KP Kesavan was released and its makers sued Marudachalam Chettiar and Kandasamy Mudaliar for plagiarising their story. The case was resolved when S. S. Vasan, admitted in court that both Pathi Bhakthi (written by Krishnasamy Paavalar) and Sathi Leelavathi had been plagiarised from Mrs. Henry Wood's story Danesbury House. How such a prominent local theme’s knot was from a English story set on a different setting might intrigue us all.